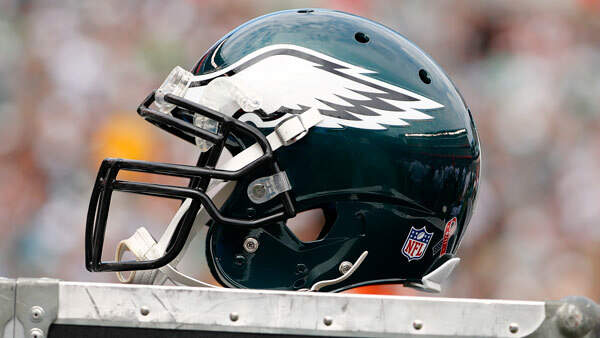 PHILADELPHIA (WPVI) -- The Philadelphia Eagles will be following in the footsteps of the 76ers and taking their talents across the pond. The Eagles will play the Jacksonville Jaguars next season in London at Wembley Stadium, the NFL announced Thursday. The game will take place either on October 21st or 28th. It will be a home game for the Jaguars. This will be the Eagles' first-ever regular-season game overseas. Ticketing details will be announced by NFL UK on January 18. This will be one of three games played in England in 2018. The other games are the Seattle Seahawks vs. Oakland Raiders and the Los Angeles Chargers vs. the Tennessee Titans. The Eagles play the Atlanta Falcons this Saturday at Lincoln Financial Field in an NFC Divisonal Playoff game. On Thursday, the 76ers play the Boston Celtics in London's O2 Arena.